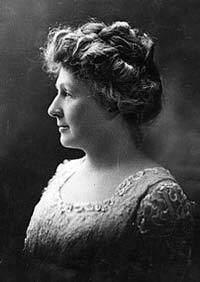 Annie Jump Cannon was a Delaware-born astronomer who discovered at least 300 variable stars. These are stars that change their brightness or magnitude over time. These discoveries made Cannon a vital part of the evolution of stellar classification. She also discovered five new stars and a double star and analyzed over a quarter of a million stars to show the relationship between their spectral type, brightness, and distribution. She also compiled a bibliography of 100,000 references to variable stars. In 1896 she joined the staff of the Harvard Observatory. Annie Jump Cannon was born in Dover, Delaware, the daughter of a state senator and a mother who kindled Cannon’s interest in the stars. She attended Wilmington Conference Academy and then went to Wellesley College, one of the so-called “seven sisters” colleges for women. While there, Cannon contracted scarlet fever, which destroyed much of her hearing. Still, she graduated from Wellesley and went to Europe to experience the 1892 solar eclipse. When Cannon returned, she found few opportunities available to her, both because she was a woman and because of her partial deafness. Finally, after the death of her mother, Cannon wrote to her physics teacher at Wellesley and asked if there was the possibility of employment for her. Her old professor, Sarah Whiting, hired Cannon on as her assistant. Cannon took advantage of her position to audit graduate courses. She was especially enthusiastic about the astronomy course. Cannon studied spectroscopy, which is a science that deals with how radiant energy and matter interact. In those days, however, it was the study of how visible light could be separated into its component colors when it was passed through a prism. Cannon also took up photography, which was a new and fascinating art form at the time. She took graduate courses in astronomy and physics and entered Radcliffe College so she could use Harvard’s famous observatory. While there, she caught the attention of Edward C. Pickering, who was the observatory’s director. He was impressed with her knowledge and hired her on as an assistant in the observatory. Pickering had a coterie of female assistants known as Pickering’s women, or conversely, Pickering’s Harem. He hired these women to map the stars and complete what was called the Draper Catalogue. The goal of this catalogue was to map every star in the sky that had a magnitude up to +9. These stars were to be classified by their spectra, which at the time was difficult. Pickering picked women for this task because he thought they were more efficient and patient than men and he knew that women also worked for less pay. When a dispute arose as to how to classify the stars, Cannon created a compromise that divided the stars into the now famous OBAFGKM classification that is based on their temperatures. Cannon kept up her work in stellar classification for over 40 years and died in 1941 after she had been named the William C. Bond Astronomer at Harvard. She also was the only sole woman to be honored with the Henry Draper Award.